The beginning of a new year not only means new TV shows and movies, but it also means a new congressional year, especially one with powerful women who are not joining the House of Representatives to play games, but to take a stand. 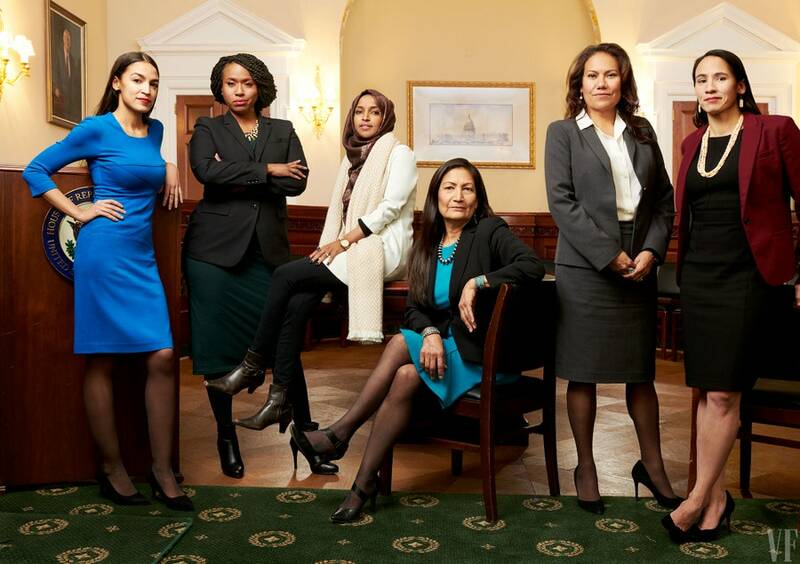 In a year with many firsts for Congress, and with 2019 marking the 100th year women have been allowed to vote in the United States, the 116th Congress is the most diverse in US history. The following are just some of the women you should know about. Arriving to the US as a refugee, Ilhan Oman is the first Somali-American elected into Congress, in addition to also being one of the first two Muslim women elected into Congress. Her visions for her time in Congress include the following: access to public education, healthcare coverage for all, a just immigration system, re-imagining our criminal justice system, investing in arts and humanities, and more. Oh, and did I mention she was also in the Girls Like You music video? From a family who has lived in El Paso, Texas for generations, Veronica Escobar is one of the first two Latinas to represent Texas in Congress, an event that was long overdue, as Texas is 39.4% Hispanic or Latino. Her platform includes: protecting the environment, affordable healthcare, improving veterans’ services, protecting seniors/disabled/working families, and more. With two firsts for Kansas, she is the first member of the LGBTQ community from Kansas to be elected and one of the first Native American women elected into congress. Her visions include: striving for cleaner energy and addressing global warming immediately, a tax cut for the middle class, and strengthening public schools, infrastructure and more. Not to mention, she is an ex-MMA; she is ready for anything. The first African-American woman elected into congress from Massachusetts made a big first impression in her first speech addressing the government shutdown affecting the country in the new year, stating that she not only was rising as one, but for thousands. As a survivor of sexual assault, Ayanna Presley will fight for women’s issues while in Congress, as well as healthcare, immigration reform, gun control, and more. Give it up for the dancing queen, who is now the youngest woman elected into Congress in history! Her campaign for office was 100% people funded and through her social media platforms, giving us a backstage pass on all things related to her journey to being elected into Congress, including her orientation and picking her office. On her agenda: gun control, medicare for all, housing, clean campaign finance, and more. Make sure to follow her on twitter @AOC. So here is to these powerful women leading the way in Congress!